Sergio Triminio received a message on Facebook in September last year with a plea for help. The brother of missing Falls Church, Virginia., teenager Edvin Mendez, who Triminio knew, was looking for help in finding him. Triminio, 14, agreed to meet and later told the brother what he knew: Mendez, 17, was kidnapped and killed by the MS-13 gang. The killers suspected that Mendez was a spy for the gang’s rival. The next day, Triminio’s mom asked him to take out the garbage around 8 p.m. at the family’s Alexandria, Virginia, home. The boy went out in his pajamas and was never seen again. His body and that of Mendez were discovered in February this year in unmarked graves. The details surrounding the teens’ murders emerged in unsealed search warrants cited by the Washington Post on Friday, Dec. 8. 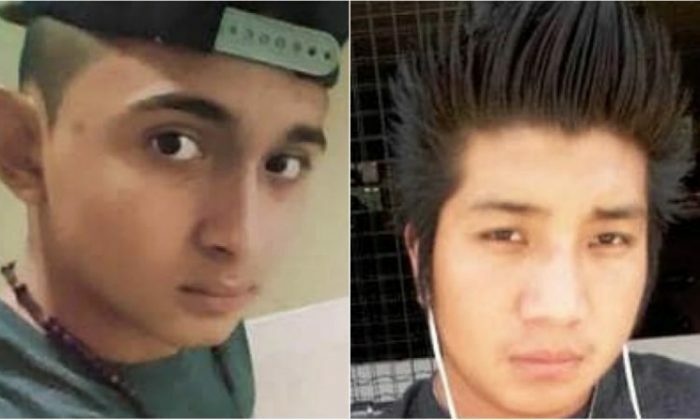 The two teens are the latest victims of a wave of MS-13 brutal gang violence that surged to the top priority lists of President Donald Trump and Attorney General Jeff Sessions. Authorities announced that two bodies had been found in March, but withheld the identities of the victims until now. The killings are being investigated by the FBI and Fairfax County Police. Triminio’s family was devastated by the news. The teen’s mother, Karla Triminio, told the Washington Post that the boy’s 3-year-old sister keeps asking where he is. Mendez then left the home, never to return. His family reported him missing on Sept. 1. The family began suspecting that the teen’s disappearance may be gang-related by mid-September, the search warrants show. Three weeks later, Mendez’s brother contacted Triminio and the pair met at an Alexandria hotel. Triminio knew of Mendez’s murder because was an MS-13 gang associate, according to the search warrants. When Triminio did not return home after going to take out the trash next day, his mother started calling and texting him but received no response. The 14-year-old was wearing a court-ordered ankle bracelet at the time, but the signal could no longer be detected after Sept. 26, the search warrant states. The teen’s mother reported him missing on Oct. 4. Karla Triminio believes that her son was approached by gang members in school. He started having disciplinary problems and often disappeared from home. The mom went to the police and juvenile court for help. A female member of the MS-13 gang approached the mom after her son vanished and offered help. She believes the gang member was trying to find out what she had told police. The bodies of Mendez and Triminio would be found months later in Holmes Run Park on Feb. 28 this year. The discovery was made public on March 3. MS-13 previously used Holmes Run Park to bury the bodies of two gang members in 2013, sparking a high-profile crackdown on the gang in Northern Virginia.